Experience "The West's Best Short Whitewater Trip," as named by National Geographic magazine. 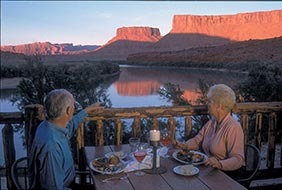 Westwater Canyon is a spirited oar-powered and paddleboat trip* on the Colorado River. 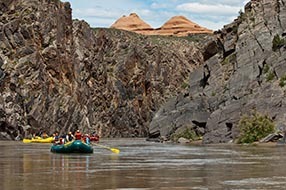 Guides expertly row through exciting waves and swirling pools dwarfed by stunningly beautiful and unique black, gold and red canyon walls. Hikes to historic cabins, mysterious caves, and Indian petroglyphs punctuate the river's course. Rapids such as Funnel Falls, Skull Rapid and Sock-it-to-Me provide plenty of excitement while calmer waters on the first and last part of the river offer a nice balance to the perfect day trip. *Note: Water levels through Westwater Canyon do fluctuate throughout the year, providing varying levels of whitewater intensity based on the time selected. Use of paddleboats may depend on water levels. We reserve the right to not use paddleboats at certain water levels. 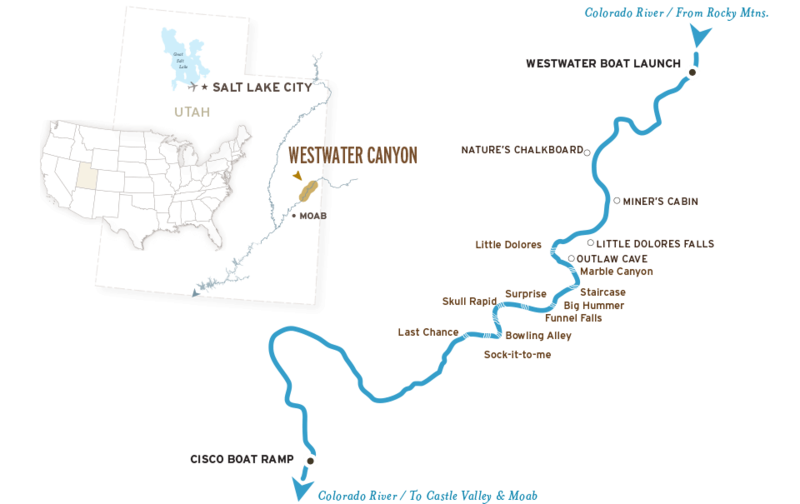 Westwater Canyon is exciting class III and IV rated whitewater. 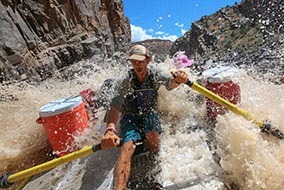 Trip has a great mix of whitewater action and unique scenery only found in Westwater Canyon. Minimum age: 12 years old. Rates listed do not include a 3% access fee. Unique geology in Westwater Canyon creates sheer walls and a narrow chute for a series of exciting classic whitewater. When you grip a paddle or rope through the rapids in Westwater Canyon, you are almost guaranteed to have a story to tell back home! You won't soon forget the ride. If You Don’t Try Westwater Canyon, You’ll Hate Yourself Later ! We had the best time ever on the Westwater Canyon Adventure. The rapids were incredible, there was a great lunch and the guide made the trip worth while, I will definitely be back. 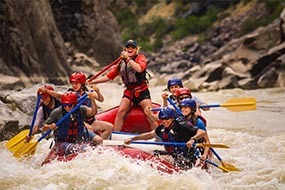 It could only have been better if it were longer, so I will probably book the 2 or 4 day rafting trips that you offer next time, hope to see the same guides, they were awesome. Meghan was tremendous! She was spot on with having us do what we need to do, and with great personality and smile the whole time! 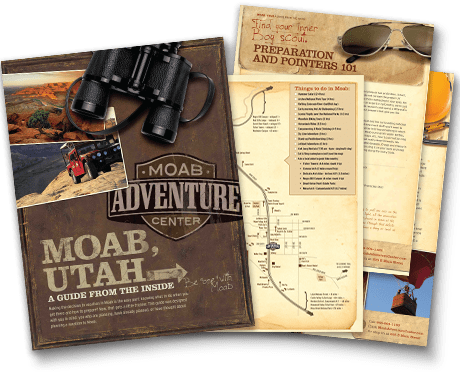 Definitely a fun time on Westwater Canyon with the Moab Adventure Center!